jonny starwood | "Dr. Booshka and the Electric Circus"
Timothy: Hello there Doctor, how have you been? Booshka: The movement has gone underground in preparation for the coming war. Timothy: What is this war you speak of Doctor? Booshka: The time-lines have all lead to a global war! I saw every conclusion and died in everyone. Now we go underground to preserve the righteous. Timothy: Who are the righteous that you speak of? Booshka: The righteous will find their way. Where the lions lay with lamb and a place where there is no hive. We will survive! We will report any more information we receive on Doctor Booshka! Report your own sightings in the comment section. From a transient dream I drifted down the flowing of time and space. I am not your messiah, that is for you to say. I have only come to heal your world of the sickness infecting it. Underneath the paradise you have so cleverly guised lives a race of people that plan to take back what they believe is theirs. They are the original inhabitants of your planet Terra. They originally had no bodies when they landed here from Mars. They had destroyed their home planet and came to earth to escape their own destruction of their planet. 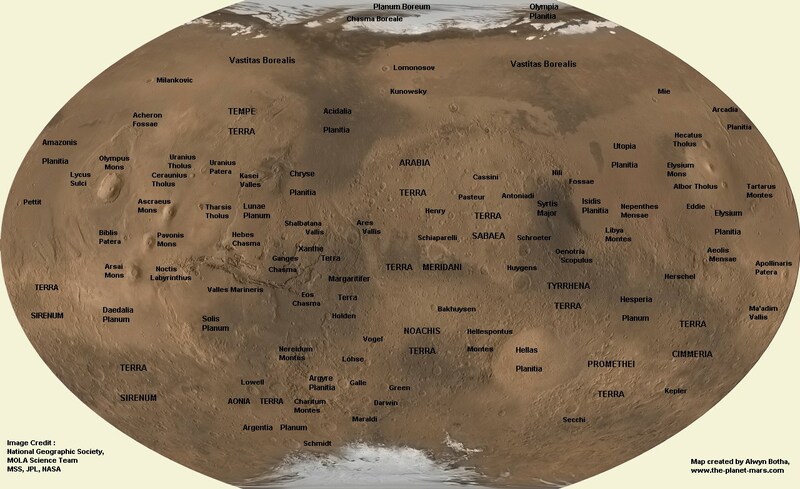 Mars was once called Atlantis and was the oasis of the milky way. The people of that planet had evolved over time to have no need for bodies. They could form anything and become it and they were just floating souls. Yet with every good thing comes and opposite or equal reaction. The Martians wanted to create god like bodies they called juggernauts. These machines were created by their slave race the primate. They soon discovered while mining for minerals that there was a special mineral on their planet called gold. Soon the primate slave force was increased and the age of work for a primate dropped to 13. Some of these primates cold communicate in the beginning but they evolved too. Soon primates were running away from the compounds and going deep into the forests starting their own primal villages. This angered their overseers the work camp so they began a war more like a killing field. They raided the main village of the primates and slaughtered every man, woman and child. Soon word spread of the massacre to the other slaves. Thus began the revolt against the Martians. Unknown to the Martians the primates had been gathering tools to fight a war. They waged war for 20 years and every year the primates became more humanoid. At then end of The Martian Wars as they were so called later own in the annals of history a ship was built to usher the Martians to the closest inhabitable planet which you call Earth. When the ship was to be boarded by the martians and planned attack by the humanoids allowed them to hijack the ship. Already pre-programed for earth the humanoids loaded up and left mars and left the Martians behind. Thus the dawn of the human age on earth and the downfall of the Martians. Now though the Martians have choosen a vessel which looks much like a reptile. They have built a massive empire underneath the planet. The Second War of the Martians is trying to be waged on our home planet. This is why I am here. I have a plan! I think…. Update: A funny thing happend on the way to the forum! For you do not have to believe! Follow the story though and maybe it will reveal something to you. Knowledge is interchangeable just as time and energy is. For some souls of this planet are very very old and some are very very new. Let us also not get confused with energy and the soul. These are two different things. The soul is a creation from the ultimate creator. We are all part of the great experiment. Should we be so stupid to deny science as a gift from the creator. He has given us the tools to understand but our own foolishness clouds our vision. We all follow paths that we define each day. We choose our own paths but there is grander path unto which all paths are governed under. I am trying my best to write humanely but I am not human. I am a humanoid though just like you. Humans though are what other species refer to earthlings. Our worlds diverged from the big bang as you would call it. Mars though was the first experiment which went horribly wrong. Though good did come out of the first experiment: angels. Though they are not what your mind would think them as. They are humanoids too. They though are more powerful then us for now. We have the same power but we cannot access these powers yet. For the creator second experiment was set up with rules and regulation. So here is what im trying to say to you. The first experiment was a failure in the creators eyes. He placed the angels which were good on what you call heaven. This place is where most of the souls bounce to when waiting for the day of accession. This was where the good of earth will stay until the creator calls the good to his dimension. The souls that have been deemed bad souls do go to “hell” but this is not the hell of the bible. The actual closest thing to hell really is Dante’s Inferno. I have never been there because to venture to this place is almost certain doom of the soul. Remember the soul cannot never be destroyed. Once a soul has been created it will never die. Though if you go to “hell” there is no wormhole out. This is where the creator punishes the wicked. For the rebellion of the Lucifer was as true as it is portrayed on earth. When God took Lucifer from the first experiment the creator had not known of the trickery he had already done. For the whole time it had been him that made the experiment a failure. He proclaimed that the creator had no power over him and he convinced many angels that this was true. The creator though is our ultimate authority and he is veritas! Do not confuse the creator with your human images of him. You would be a fool to say you have seen his face. No one has seen his face not even the angels. For if you see his face your soul will surely die and be sucked into the source. The source I speak of is the source of all life and all death. All energy is restored through the source. The source is not the creator! The creator is a being himself. No one not even the creator knows what or who is inside of the source. Though all will be revealed in time. I once again speak to much for you humans to understand now. Our worlds though are in danger! If you want to know more now then you must read from the start. Chapter 1 through Chapter 9…..this is your homework for tonight. I will answer questions at 2 am eastern standard time. So ask your questions now and I will respond to some of them at 2. I will not answer questions to new souls those who refuse to believe. My feelings are different then yours so you can’t hurt me. Don’t bother in trying to dissuade what I say. I only want people to respond who want to learn of my path. I reject no religion nor embrace a single one. All have a part to the puzzle. It just takes someone to put them together. 2012: A Warning from a Scientist! Is this the end of the world as we know it! Your worlds scientist have issued a warning that a solar flare of some sorts could knock your satellites out. Are you going to listen to my warning when I announce what I have to announce! The world is ending! We are the only one who can save it! Jonny Starwood Update #4: Dr. Booshka is Coming! So I didn’t win the lottery and I didn’t finish hiking the Appalachian trail. Who cares? I thought I would be more upset in myself like I usually am in failure but I am not this time. For some reason I have this feeling that everything is going to be alright. Maybe that ride I have been waiting on is on its way! Maybe the ride we have all been waiting for is on his way. Dr. Booshka though has stopped contacting me. I don’t know why. I think I am scared that everyone is going to fall in love with Dr. Booshka and forget about Jonny Starwood. Do you even really care about me! I don’t care what you think honestly. I am young and I have the will to believe in whatever I want to believe in. Thats the power of self creation. We don’t have to bend ourselves to the rules that we are supposed to follow. Maybe its time we stop bending and start creating! I wanna believe in a world where everyone has the freedom to do what they want to do. I think the biggest thing I realized is money means nothing. The American dream of getting money and it making you happy is a lie. The dream that going to a university will get you loads of money is a lie. Maybe one day we will end our run to becoming an idiot nation or we rise up and embrace our destiny. The destiny of creation!!!!!!!! P.S. I went to Raleigh with promises of a party and I hoped there I could find the American Dream. I asked and probed and my next update will be a video series with a message of hope! I understand now why so many people are sad in your world. It seems like everyone is telling you no and all you wanna do is say yes. Maybe thats the right way to live. Maybe we have it all wrong that we have to have some sort of government or religion to dictate our lives. Maybe we lost the meaning of religion and government. They originated as ways to live a better life but now they have taken on a new meaning. Corporatist capitals with money laundering churchs. Wash away your sins at the alter of politics. We cannot fight the infection so we must rise up against the infected. No longer will we listen to the brainwashings of your worlds leaders and my worlds leaders. From now on we fight a common enemy. If your not for us your against us! The lines are being created so I hope when you see the line your on the right side! Jonny Starwood Update #3: How I got lost in the woods or How I found myself in the woods! Tonight has been a special night for me. I have come to the conclusion that I can’t save the world. Maybe thats why I am so happy. The guilt that the world’s doom is my fault and that if I don’t do something the world will explode! Maybe its the fear that I will explode. I don’t really know. I do know this though dream is destiny. I have a dream that the world will live in hope that we can create a better place. Its the stink of this place we call America that really gets to me. The stink that one man can change the world. I think maybe Obama is realizing what kind of mess we are really in. Maybe its not the politicians that are corrupt but the people that put the money into the politicians. I can see Obama now sitting in the room with Hillary and other candidates really believing he could change the world. Then someone whispered in his ear and said “You want to change the world and get elected you got to let us endorse you” November 5th rolls around and the people who got him elected are like, “Now that your presidented and we got you elected and all you got to do some stuff for us”. This is the downfall of the american people. The believe that money will fix everything. That is why I play the lottery. The chance that any random American can have the chance at billions of dollars. I think maybe we play so we can get out of our old lifes. Make a new one because we have the money! I know I am going to win! Is that a bad prophecy. In some way loads of money will come my way and I will have the choice to live the star life. Will I choose it? No I will not! I will create something with it that will change the world. The power in self rather then the power in nothing. I will be rich by accident and people will wonder why me. Then they will see what I create and realize wow this dude did something! Maybe I will just die here on the Appalachian trail and no one will ever remember me. No that is not whats going to happen. I have a long hike to the next town so I will keep you updated. Maybe with this powerball ticket I bought tonight I will win or my dream will fade to the wastelands and my dreams will be sucked dry from me while I wait for the ride out of here. Maybe destiny isn’t real and Dr. Booshka is just some crazy guy with an idea. I think though thats how life starts. A dream and the realization that your dream got you somewhere. I guess only time will tell my friends!